Everyone loves a deal, but getting discounted Disney villas is nearly impossible (unless you look in the right places). 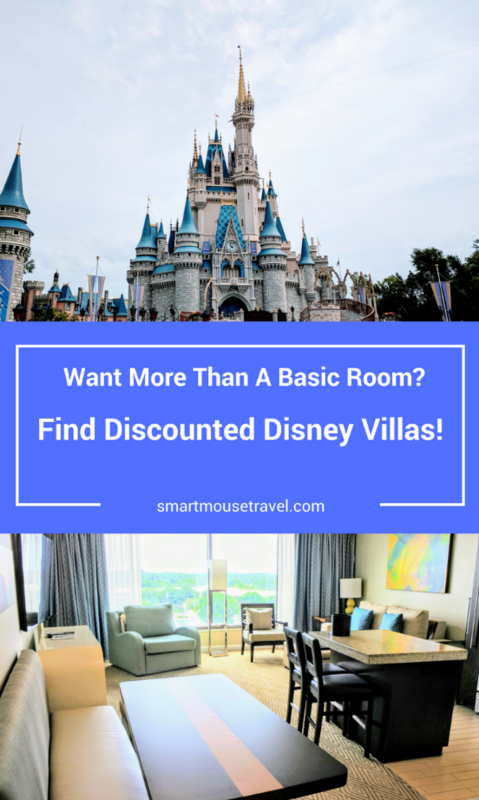 One great way to get a discount on a Disney villa is by renting DVC member points. What Are DVC Member Points? 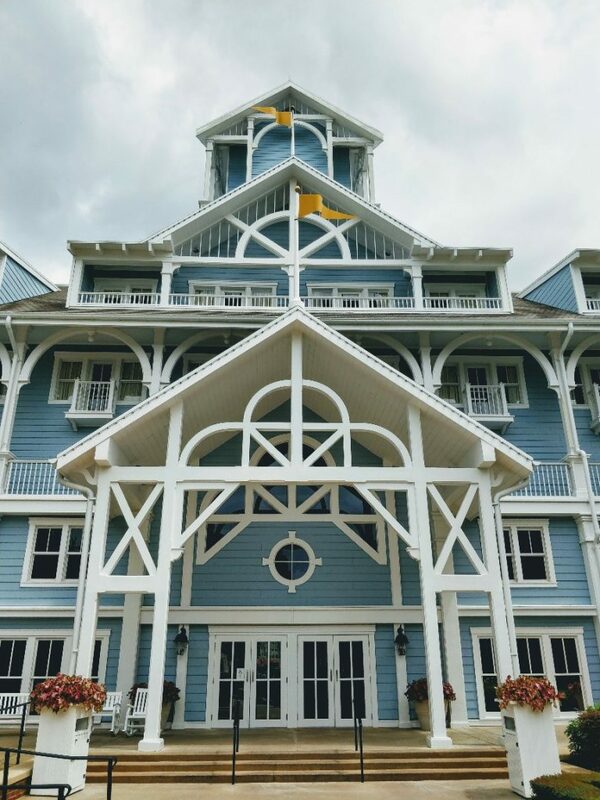 Disney has its own timeshare program called the Disney Vacation Club (DVC). DVC members get first pick of the most luxurious accommodations at Disney World – the Deluxe Villas. Disney’s Deluxe Villas are more than just a Disney hotel room, they are a home away from home. 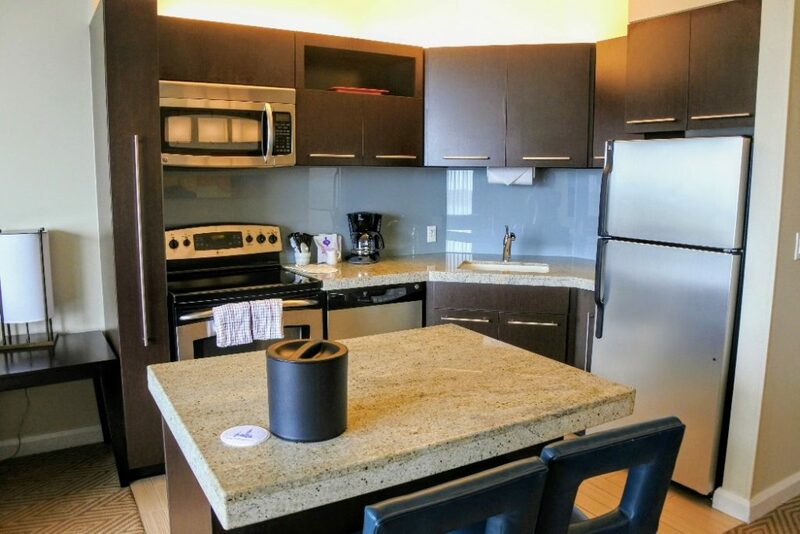 The villas have kitchenettes (or full kitchens), living areas with fold-out couches, and studio, 1, 2 or 3 bedroom options depending on the resort. If DVC members don’t rent out all of the available units, then regular people like us can rent them directly from Disney (for a pretty penny). How Do I Find Discounted Disney Villas? Sometimes DVC members are unable to use their own timeshare points. Renting these points allows you to pay less for the villa than you would if booking directly with Disney World. DVC members can make reservations for others using their points. Person-to-person DVC point rentals do occur, but can be risky if you don’t know the DVC member. This uncertainty is the reason I booked with DVC Rental Store. What is DVC Rental Store? DVC Rental Store is a “middle man” that facilitates the point rental process between DVC members and the people interested in renting a discounted Disney villa. They are a well-reviewed and reliable company with a Better Business Bureau Rating of A+. DVC Rental Store works to provide you a discounted Disney villa while protecting you from the risk of false reservations. The cost to book a villa is discounted versus renting directly from Disney World. Once your reservation is confirmed you control all of your dining and FastPass+ reservations normally via My Disney Experience. Your agent will send you emails at key times to remind you to make dining and FastPass+ reservations. You can add a dining plan or park tickets to your reservation for one-stop shopping. With the addition of the “Cancel for any Reason” Point Protection Plan you can lessen the risk of renting DVC points. A deposit is made at the time of booking, but final payment isn’t due until 45 days in advance. You cannot contact Disney World directly about the reservation. Once a DVC member has confirmed a reservation it can not be cancelled unless you purchase a point protection plan. Housekeeping services are limited. For DVC members there is minimal “mousekeeping”. For a stay of 7 nights or less: On day 4 your room will receive “Trash and Towel Service”. This means trash cans emptied, fresh bathroom linens, and replacement of toilet paper, tissues, dish detergent, etc. For a stay of 8 nights or longer: On day 4 your room will receive a full cleaning. After this cleaning on day 4, the next mousekeeping will take place every 8 days. On the 8th day there will be another full cleaning of the room. You can purchase Trash and Towel service during your DVC rental stay, but that will be an additional cost of $20/day (as of June 2017). If you purchase the “Cancel for any Reason” Point Protection Plan you give back some of the savings of booking with DVC Rental Store. Every reservation will have a different savings, but I will share our recent experience. Our trip in June 2017 was $720 less than booking directly with Disney World for a 4-night stay at Bay Lake Tower at Disney’s Contemporary. I was firm on my dates and so opted to save money (gambled) by not obtaining the cancellation policy. Had I purchased the policy I still would have saved $482. Sometimes people do have to cancel their reservations with DVC Rental Store. However, since the DVC member can not cancel the reservation the DVC Rental Store will try to resell these bookings at an additional discount. You can sign up for their discounted reservation email list, check the website periodically or follow them on Facebook to view these heavily discounted reservations. These extra discounted reservations can be a great opportunity if you have flexible travel dates. How Do I Book With DVC Rental Store? Fill out an availability request form. Wait for a quote from a DVC Rental Store agent. You should receive a quote in 24-48 hours. Contact your agent (ours was Lauren Enochs) to confirm you would like to book based on your quote. At this time you will need to place a $100 security deposit. Please note: This deposit is refundable as long as a DVC rental reservation has not been made in your name. The agent then works with a DVC member to secure the reservation. This process can take anywhere from a few days to a few weeks. The timing will depend on how far in advance you are booking and which resorts have been chosen. Once the DVC member has made the official reservation with Disney you pay the booking deposit to DVC Rental Store. Your agent will kindly email to remind you of important planning dates for your Disney World trip. I received reminders for dining reservations, FastPass+ reservations, and online check-in for my stay. Make your final payment to DVC Rental Store 45 days prior to your trip. Please note: Certain times of year and high demand DVC Villa resorts may be more difficult to reserve with DVC Rental Store. If your preferred dates or resort are not available your travel advisor should be able to suggest alternate options. I was nervous the first time that I booked with DVC Rental Store, but I shouldn’t have been. Lauren Enochs was great at answering all of my questions and made me feel at ease. Lauren and the DVC member also did a great job of noting our housekeeping request (special cleaning for linens since detergent causes hives for me) and Bay Lake Tower mousekeeping followed through on the request. I am an obsessive Disney planner (you are shocked, I’m sure) so being able to manage all of my plans as usual through My Disney Experience was a relief. I felt the savings on our room was well worth working with DVC Rental Store. Our experience was so good that going forward I will continue to check with them when looking for deluxe villa accommodations. i pinned this because I want to try this when we go! I had no idea how to do this, had heard you can buy points etc, but this is great! I was extremely nervous, but Lauren was great. The process was super easy, too.